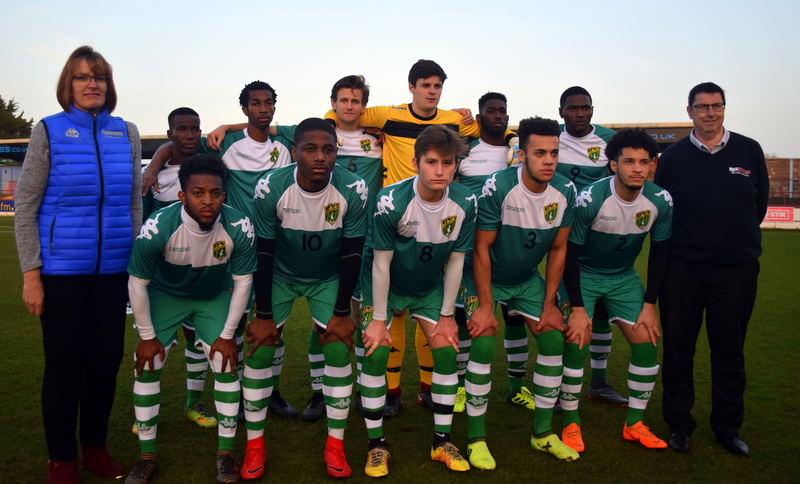 BVI Football Association » The BVI went down 1-6 to Southern League Premier Division, Weymouth Town in a hard-fought friendly game played in England on Wednesday 11th April. The match was the first chance for new Coaching regime, Technical Director, John Riley and Coach Dan Neville as well as Asst. 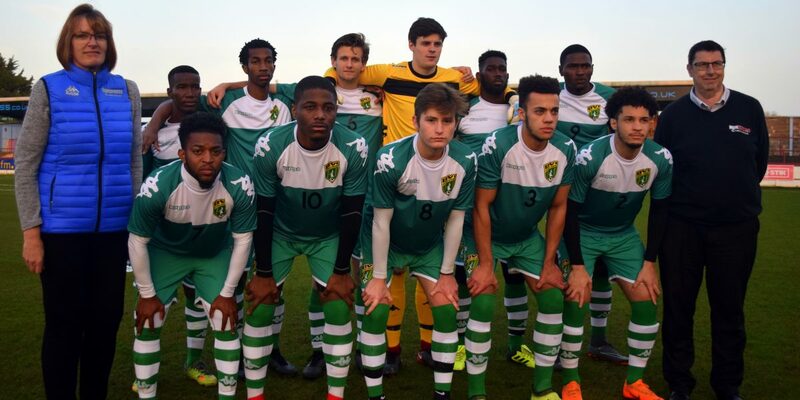 Coach, Andy Davis, to see their charges in action and came at the end of a week-long Camp, held at Milton Abbey in Dorset, which is just the start of a long-term plan towards of much improved performances at the upcoming CONCACAF Nations League. Shortly after the BVI keeper Ben Chapman narrowly got a touch that took the ball away from a charging Harry Baker, Wakefield slotted in to give the Terras a lead after nine minutes. Sanchez Baker nearly scored with a shot from just inside the box which forced Ben Chapman into a superb save to tip over for a corner, but Baker was fouled soon after and Davis stepped up to tuck home the penalty and put the Terras 2-0 up after 18 minutes. It wasn’t all one-way traffic though as Weymouth were forced into desperate defending to clear away a dangerous cross from Christian Xavier after the British Virgin Islands had quickly broken away. By Half time Weymouth were up 3-0 against a team of fresh faced youngsters, that had mostly met since starting their training camp and were playing their first game togetheron Monday in Milton Abbey. Early in the second half, the BVI began to gel and put some real pressure on the Weymouth goal with Bailey Rowe seeing a shot go inches wide with Steve Boore in the Weymouth goal beaten. Rowe was having a strong start to the second half as he again took a shot that deflected out for a corner. A raft of substitutions saw the play broken up, but the Virgin Islands were still able to have spells of putting the Terras under real pressure and despite leaving gaps at the back and conceding further goals. Septus got the team on the score sheet, firing in from distance. Azarni Callwood and Ryan Lettsome have just concluded successful participation at the Barcelona Cup 2018 youth Football Tournament in Spain, playing with the Champion Sports Group out of England.